Belgian left winger, Eden Hazard, is set to continue with his place at Stamford Bridge despite his disappointing season at Chelsea. They player won the won the prestigious PFA Young Player of the Year award in the 2013/2014 season with The Blues before going on to win the very coveted PFA Player of the Year award. This season the Belgian rising star has experienced a shambolic season and it is testament to how far he has fallen that many Chelsea fans wouldn’t be too sad to see him leave Stamford Bridge. The player’s influence used to be very heavy in games and this helped them lift the English Premier League just last season. This season he doesn’t even have a Premier League goal to his name. He didn’t score in the UEFA Champions League as well until they were knocked out by PSG. So far, he has only two FA cup goals this season and they remain his total goals in all competitions this season for Chelsea. Steve Bruce was assigned with the job of coaching Hull City on June of 2012 and in his first season in charge of the club; he managed to push the team to the Premier League after landing a promotion spot in the English Championship League. Things got even better for Bruce as the manager was able to reach the finals of the FA Cup which was the first time that Hull City got so far in the history of the club but ultimately were knocked out after losing against Arsenal; nonetheless it was a very impressive feat for Hull City. Chelsea boss José Mourinho says that the English culture of football will probably prevent the world from seeing the best of Eden Hazard. The Chelsea winger managed to win the PFA and the football writers Player of the Year award. He has had a sensational campaign in which he has contributed almost 30 goals from 44 appearances in all competitions. Mourinho reckons thatHazard is only behind Cristiano Ronaldo and Lionel Messi when it comes to the best player in the world. Messi and Ronaldo have both been scoring lots of goals in the last five years, but Mourinho reckons that this largely because of playing in Spain. Chelsea winger Eden Hazard has admitted for the first time that he may be a bit tired after having played almost 50 games for club and country this season. The wizard was substituted after just 60 minutes in Belgium’s Euro 2016 qualifying match against Israel. A 1-0 win for Belgium continued their impressive form in the qualification campaign, but Hazard did not played the full 90 minutes. The 24-year-old was visibly displeased with his manager, but he later admitted that Marc Wilmots may have correctly found out that he is no longer fresh. Chelsea boss José Mourinho says that star winger Eden Hazard should receive more protection from the officials after witnessing his player become the most fouled player in Champions League and Premier League so far. 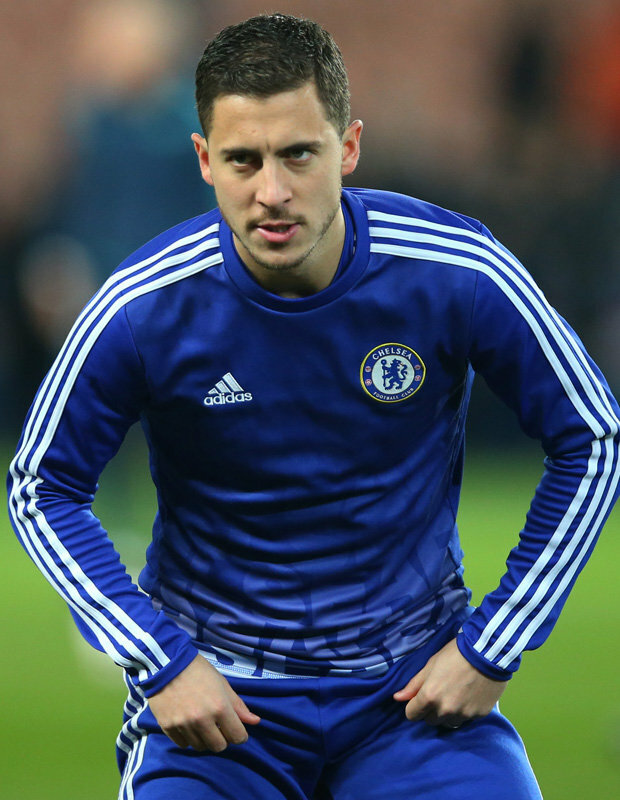 Hazard is spoken of as someone who can reach great heights in the next few years. The 24-year-old was incessantly fouled in the recent Champions League match against Paris St Germain. There were an astonishing nine fouls on the Belgian international from six different players. Yet, only the duo of Gregory van der Wiel and Marco Verratti were booked by the referee.